A week out of Suffolk University Law School, Michael Eidlin was working as a consultant to a law firm and devising a program to cut the time and expense required for a routine legal task. In consulting with a law firm north of Boston, Eidlin’s assignment was to examine and redesign how a document-assembly program in the trusts and estates portion of their practice was used. Before Eidlin’s innovation, an attorney had to input the same information repeatedly, making for a tedious, time-consuming task. Eidlin developed a program combining all of the routines into a single process. Now the information is provided once in a single questionnaire, and the program generates the entire trusts and estate package—ranging from 50 to 90 pages—in less than five minutes. The client benefits from the speed and reduced cost offered by non-lawyer legal services but with the advantage of having an attorney review and guarantee the documents, according to Eidlin. “The technology allows firms to operate in a unique competitive space that focuses less on the wasteful and repetitive tasks of a traditional firm and instead on the skill set specific to an attorney; providing legal analysis and counseling to clients,” he said. While at Suffolk Law, Eidlin completed the Accelerator-to-Practice program, a first-of-its-kind course of study designed to prepare graduates to join or start sustainable law practices serving low- and moderate-income clients. At the end of the three-year program, graduates have gained technology skills related to the use of case management systems, customer relationship management, document assembly programs, website design, and social media in law firm settings. His consulting work is only the latest of Eidlin’s experiences with technology in the law. As a student he developed an application that automates the process of drafting subpoenas for medical records in his Lawyering in the Age of Smart Machines class. The user simply enters basic contact information, and the application drafts the appropriate subpoenas, schedules, affidavits, and other important items for the medical care providers and opposing counsel. “I’ve learned that if I want to make a difference and help people, technology is the way to go,” said Eidlin. 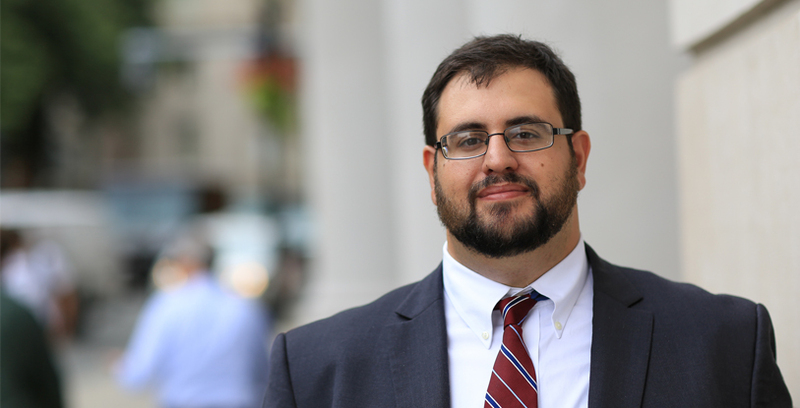 As he prepares for the bar exam, Eidlin also is looking forward to the time when he will form a hybrid practice, using legal technology to provide traditional legal services while providing technology consulting to other law firms and corporations.